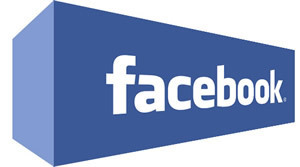 Is Facebook going to launch an Advertising NetWork? | AdsWiki - Ad Network Listing, Reviews, Payment Proof & Advertising News. Home Articles Is Facebook going to launch an Advertising NetWork? If the rumours that were started by Facebook’s recent changes to its privacy and governance policies are to be believed, the world’s favourite social network is soon to launch its own external advertising network to compete with the likes of Google’s AdSense. These ads will be targeted by a user’s likes and dislikes, which is a from of behavioural targeting that many other advertising companies can only dream of, and the theory goes that the relevance of these ads will make them lucrative for both the publisher and Facebook who will take their cut. Google’s AdSense is bar far the widest used advertising network on the web at the moment, as they offer the widest number and variation of advertisers, with the ads contextually matched to the text content on the page. The contextual matching is a clever piece of technology, that combined with Google’s own huge reach with advertisers has meant that AdSense is a very profitable business for the search giant. But how will Facebook fare? Before Google launched AdSense they were already very successful in selling ads across Google search results pages, where the ads were targeted to what people are searching for – a very lucrative proposition for advertisers. This meant that a vast array of advertisers were already on board before they moved into the ad network business. Facebook, by contrast, has had a tough time selling advertising across its own social network. Facebook has access to more personal data and people’s likes and dislikes than anyone else, but they just have not been very successful in turning this into advertising profits. Large brand advertisers have commented on how poor the results they were getting from Facebook campaigns were, and this has been a major issue for the company. With the launch of their own external ad network, Facebook is hoping that the lack of performance on ads on Facebook.com will not put advertisers off and will not be repeated on the wider web. Is it possible that Facebook.com advertising’s poor performance is down to how users interact with Facebook? Maybe, but I won’t be celebrating an AdSense competitor for a while yet.